In the latest attempt to reduce air pollution across London, the city’s Mayor Sadiq Khan has announced that London’s new Ultra Low Emission Zone (ULEZ) could be introduced as early as 2019. This will be a year earlier than previously anticipated, with the roll-out initially focused on inner London, before expanding to both the North and South Circular starting from 2020. Mr Khan stated: “Just as in the 1950s, air pollution in London today is literally killing Londoners. But unlike the smoky pollution of the past, today’s pollution is a hidden killer. To help motorists get ready for London’s ULEZ, vehicle hire specialist Northgate has put together this guide on the scheme. They have also taken a look back at how London has fought against air pollution over the past few years. The ULEZ relates to an area whereby all buses, cars, coaches, heavy goods vehicles, minibuses, motorcycles and vans must meet previously-agreed exhaust emission standards or pay a daily charge to travel within it. In London, the ULEZ will be in place in addition to the city’s Congestion Charge and Low Emission Zone standards and will be in operation 24/7 including on weekends and public holidays. Where does the ULEZ cover? London’s ULEZ will operate within the same area that the city’s current Congestion Charging Zone (CCZ) is in force. Anyone who is unsure of the locations that this covers, though, can simply find out by using Transport for London’s (TfL’s) ULEZ postcode checker. Drivers should be aware that there will be no barriers or toll booths as part of the ULEZ scheme. Instead, cameras will be used throughout the zone — these will read vehicle number plates and check them against a database made up of information from the DVSA, vehicle manufacturers and both drivers and operators registered with the TfL. If a motorist is found to be driving a vehicle in the zone which does not meet the ULEZ standards and have failed to pay their daily charge, the registered owner or operator will be issued with a Penalty Charge Notice. Does the ULEZ have any discounts or exemptions? There are a number of specialist vehicles that will be exempt from paying the standard charges of the ULEZ. They are as follows, and are already exempt for the currently enforced London Low Emission Zone: · Agricultural vehicles. · Certain types of mobile cranes. · Military vehicles. · Non-road going vehicles which can drive on a highway (excavators, for instance). · Vehicles manufactured before January 1st 1973. As well as this list, drivers of any vehicle that has a ‘historic’ vehicle tax class will also not need to pay the ULEZ standard charge. How has London battled against air pollution to date? Low Emission Zone Greater London’s Low Emission Zone (or LEZ for short) was brought in as a tactic to reduce the particular matter that is emitted from diesel engine vehicles across the district. London’s Congestion Charge is a much broader scheme to the city’s LEZ, with the majority of vehicles which enter Central London affected. Run by TfL on behalf of the Mayor of London, the Congestion Charge operates between 7am and 6pm from Monday to Friday — though excluding Bank Holidays and the days that lie between Christmas and New Year. Once nicknamed Boris Bikes — referring to the former Mayor of London, Boris Johnson — Santander Cycles is the public bike sharing scheme in operation throughout London. Available 24 hours a day, 365 days a year, the fact that the initiative is made up of over 11,000 bikes and 750 docking stations, situated no further than 500 metres apart, shows the huge scale of this concept. Arrive at a docking station, insert a bank card into the secure terminal and follow the onscreen instructions. Hire a bike and ride it around London, parking it to any of the scheme’s docking stations at the end of the journey — the bicycle doesn’t need to be returned to the same docking station that it was taken from. Pay £2 for 24-hour access to the bikes, though bear in mind that the first 30 minutes of a journey is free of charge. However, there is a £2 charge for each extra 30 minutes applied to longer journeys. The Pigeon Air Patrol has to be up there with the most unique ways for a city to take the fight to air pollution. A project thought up by Plume Labs, the idea is that pigeons based in London carry a personal air quality monitor within a small and lightweight backpack. This device measures levels of nitrogen dioxide, ozone and other volatile compounds on a constant basis while the bird flies around the city. Results from the analysis are available to view on the official Pigeon Air Patrol website, though residents can also Tweet @PigeonAir to receive an automated response to the air quality in the area they have requested. What is the public reaction to London’s fight against air pollution? 76 per cent of respondents would like to bring their cities in-line with European limits on air pollution. 76 per cent were concerned about the current levels of air pollution in the area they live and/or work. A mere 17 per cent acknowledged that they would be less likely to purchase from a company which manufactured low-emission vehicles, regardless of whether this made them more expensive. 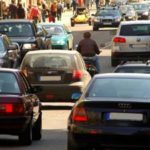 Just 11 per cent of those involved in the study said that they were against the use of charges and taxation in an attempt to get polluting vehicles off the road. Clean tech company Dearman supported the YouGov poll and its chief executive, Toby Peters, pointed out: “Not only is there recognition about the problem, but huge support for Clean Air Zones as part of the solution.